press the Power button on your device until the Power Off banner appears on your device. This is where things are different than normal. Instead of tapping that banner, tap & hold it until a new banner appears. That banner asks you if you want to enter into Safe Mode and tells you that all of your 3rd party applications will be disabled. Tapping OK will reboot your phone and you will be in Safe Mode. When you enter into Safe Mode you will see a banner at the bottom of the display, SAFE MODE, and you will notice that all of your installed apps are grayed out. Even the apps that are not grayed out will not necessarily function properly as there may be other components they need that were not started when you booted the device. 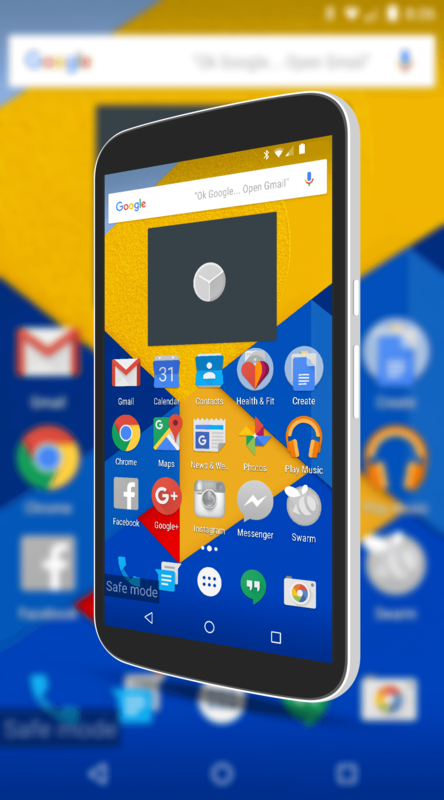 Essentially in this mode, your phone is running the base Android OS and not much else. If you have ever booted your Windows PC into Safe Mode or your Mac into Recovery mode, this is fundamentally the exact same thing for Android devices. Once you have gone into Settings>Apps you can uninstall the misbehaving app and then you can reboot your Android device back into normal mode. To do that just press the Power button then press the Power Off banner to shut down your device. Once that is done, press and hold the Power button as you normally do to power up your device again. 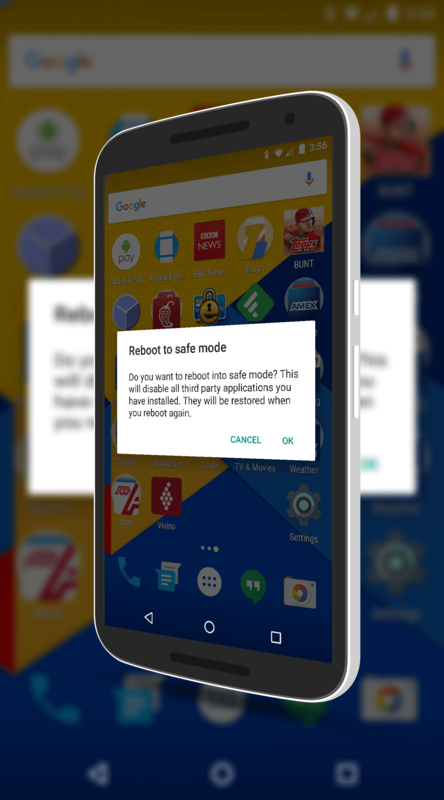 Generally speaking you should rarely if ever need to actually get into Safe Mode on your Android devices as most apps are vetted well enough by Google before they hit the Google Play Store that major bugs are caught before they get released. But no system is perfect and just because an app is behaving for Google doesn’t mean that it will on your particular device. The good news is you can safely and easily get rid of it by going into Safe Mode.